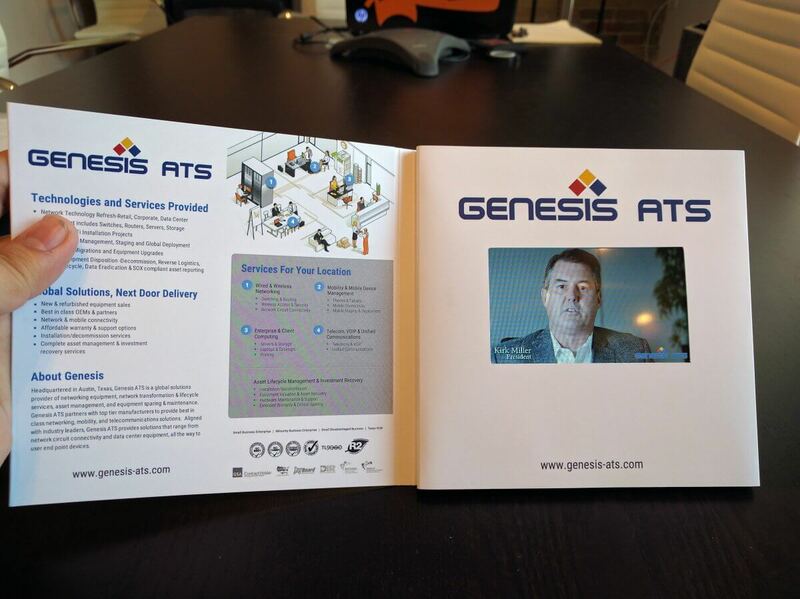 Genesis Austin Tele-Services (ATS) is an international equipment and service provider of IP network and mobility equipment.. With leading OEMs and carriers as its partners, Genesis ATS provides end-to-end mobile device management solutions. This includes device and data plan procurement, kitting services and exchange or replacement warranties. Using bigDAWGS’ Video Greeting Cards, Genesis ATS promotes their various services that are available in different locations. Their services include wired and wireless networking, enterprise and client computing, voice over internet protocol, telecom and unified communications.